Here is a instance funny Windows Vista behavior. 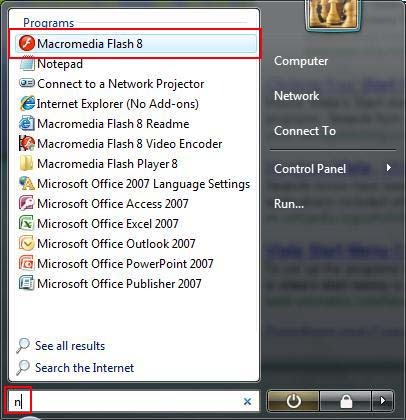 Search result for 'n' is Macromedia Flash 8! This image is supposedly from Windows Vista beta, I hope Microsoft has fixed this issue in final version. Technorati tags: OpenGuru, Funny Window Vista.